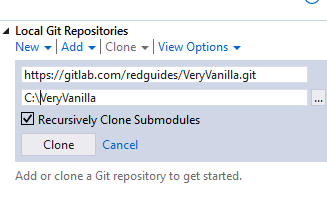 The RedGuides community uses GitLab as our host, but this guide will work for any git repository. 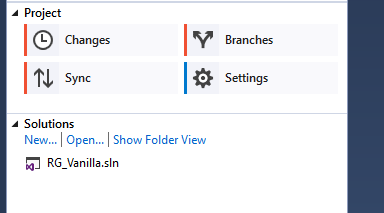 Specify a local folder to place the files, and click "Clone". If it's your first time cloning, you'll be asked for your GitLab login & password. 3) Make any changes you'd like to the code you've just cloned locally. You can do this through Visual Studio, notepad, or any other way, so long as you use the folder you specified in step 2. I edited the file "Readme.md", saved it, and closed it. 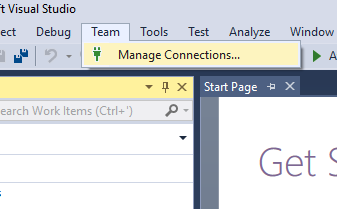 4) Now that you've made changes to the code, let's confirm Visual Studio noticed. 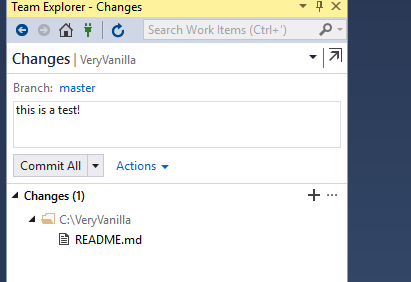 Go back to "Team Explorer"
5) Double-click the repository, in my case, it's "VeryVanilla"
7) As you can see, it noticed I changed README.md. I entered a commit message, "this is a test!" which is a poorly thought out and non-standard commit message. My apologies, I hope you do better. Click "Commit All". 8) Now hit "Sync" and your change will be shared with the mods, who may merge it for all to see. The installer has a lot of options. Which workload, Individual components, and Language packs should I choose.